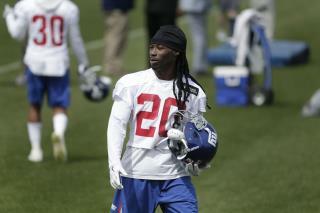 (Newser) – A body discovered at the home of New York Giants cornerback Janoris Jenkins has led to a manslaughter charge for his brother. William Jenkins, released from a New Jersey prison in 2016 after serving time for drug charges, was arrested in New York around 2am Tuesday; he had violated his parole by leaving the state. Eight hours later, authorities received a 911 call and responded to the Fair Lawn home of Janoris Jenkins, 10 miles north of MetLife Stadium, where they found the body of 25-year-old Roosevelt Rene. Described as a family friend and music producer working under the name Trypps Beatz, Rene had been living at the home while the NFLer was in his native Florida, having wrapped up a Giants minicamp two weeks ago, per ESPN and NJ.com. You can take them out of the ghetto but you can't take the ghetto out of them.